Paris, Oslo, 25 February 2016 – The commercial satellite communication division of Airbus Defence and Space is re-branded as Marlink. From today, all maritime and enterprise satcom activities will be grouped under this brand. 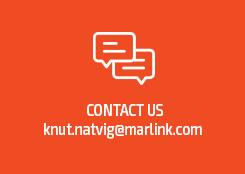 Marlink will pioneer highly reliable, flexible and future-proof business critical communication solutions for maritime and land customers through its established direct and indirect sales channels. Marlink will deploy a segment-based approach, ensuring expert focus, best-fit connectivity technology and solutions for its maritime customers in Shipping, Offshore, Oil & Gas, Cruise & Ferry, Yachting and Fishing, as well as for its land-based enterprise customers in the Humanitarian & NGO, Energy (O&G, Mining, Utilities) and Events & Media segments. With a market segment focus, Marlink will further accelerate innovation within its unmatched portfolio of multi-band satcom and digital solutions, including VSAT (Ku-, Ka-, C-band), MSS (L-Band), M2M and its value-added-services that are already established as industry standards, such as the XChange service delivery platform or the SkyFile software suite. As Marlink, the company combines its experience and industry expertise, global network infrastructure and customer support operations as well as technology partnerships to build digital network solutions and run them as a managed service for customers. Marlink will continue working closely with partners globally to deliver satcom-enabled solutions that optimise the performance of customers’ assets and operations in remote environments. The look & feel of the new Marlink brand identity has been completely overhauled to mark a fresh start. The new visual identity will help Marlink to differentiate itself in the market and to further strengthen and unite as one global team around a single identity to serve its customers globally even better.